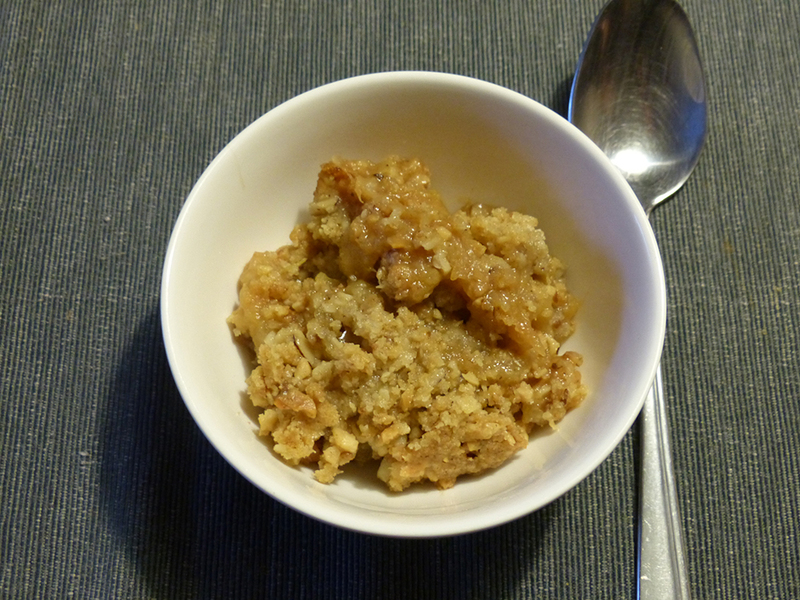 Who doesn't like a good crumble?! Rhubarb should be in season now, but you can sometimes buy forced rhubarb as early as February/March. Rhubarb is high in oxalic acid, so should be avoided by people suffering from kidney stones. Chop the rhubarb and apples into equal sizes. Add the sugar and 2tbsp water. Boil for around 20 minutes or until the rhubarb and apples are soft. Add the custard powder and stir to dissolve, cook for another 5 minutes. Put the mixture in an oven proof dish. Lightly roast the hazelnuts in a dry frying pan. Chop the hazelnuts. You can put all the ingredients for the crumble in a food processor (if you have one) and chop until mixed. Or you can use your fingers to crumble it all together. Put the crumble on top of the rhubarb mixture and bake in the oven (180C/Gas 4) for 35-40 minutes or until the crumble has browned.